Jim Langford waits for no squirrel. On a clear January morning in Atlanta, driving with considerable speed and purpose, he barrels up the hill of the Carter Center campus in a 2012 Toyota Camry. He’s talking about poetry, which he writes and publishes in rare moments of spare time, and the joyful complexity of pulling together idea, sound, and movement into a unified whole. The squirrel skitters to the edge of our path, thinks better of it, and darts back to safety—a smart decision, since Langford never saw it. Which isn’t to say that he is the sort of person who mows down anyone or anything in his path. Langford, 65, is far too genteel and affable for that, as anyone who knows him will tell you—and plenty of people in Georgia know Jim Langford (MBA 1984), whose family roots in the state stretch back to 1853. But those same people will also tell you that Langford is dogged and pretty much unstoppable when he sets his sights on something. In the past, that has included carving green space out of Atlanta’s urban wastelands; writing legislation to preserve Georgia’s Native American archaeological sites threatened by looters and development; and, not long after he left HBS, working with a team of fellow alums to create a $2.5 billion technology company. Today, Langford’s focus falls under an entirely different category of urgency: As executive director of the Georgia Prevention Project (GPP), he leads a nonprofit organization whose mission it is to halt the hockey-stick trajectory of overdose deaths from prescription drugs and heroin. According to the Centers for Disease Control and Prevention, the US death rate from opioid overdose has increased over 400 percent since 1999; the picture is even grimmer in Georgia, where the death rate rose from 1.4 to 9.5 per 100,000 persons from 1999 to 2016. Beyond the devastating personal costs, there is an economic toll, too, caused by rising health care expenses for overdose prevention drugs and addiction treatment, criminal justice costs, and productivity loss in the workforce. Late last year, the Council of Economic Advisers estimated that price tag at a shocking $504 billion for 2015. Having parked, Langford is now maneuvering a cardboard box full of spiral-bound white papers through a series of doors leading to a Carter Center conference room. The report—“Prescription Opioids and Heroin Epidemic in Georgia”—is the product of the GPP’s Substance Abuse Research Alliance (SARA), an affiliate group of 150 researchers, public officials, and practitioners all working to turn the rising tide of deaths from opioid overdose. Langford, here for the organization’s quarterly meeting, formed SARA in 2016 when he saw the need to break down silos and provide a unified body of knowledge to inform public policy. Two proposed legislative agenda items from an earlier version of the group’s white paper were voted into state law last year: making the overdose-reversal drug naloxone available over the counter and beefing up an existing electronic system for tracking opioid prescriptions. Today the group will have the chance to review a bill from the office of Georgia State Senator Renee Unterman, chair of the Senate Health and Human Services Committee. She now knows Langford well, thanks in large part to his friendly persistence in offering SARA’s hard data—and solutions—to craft effective legislation. 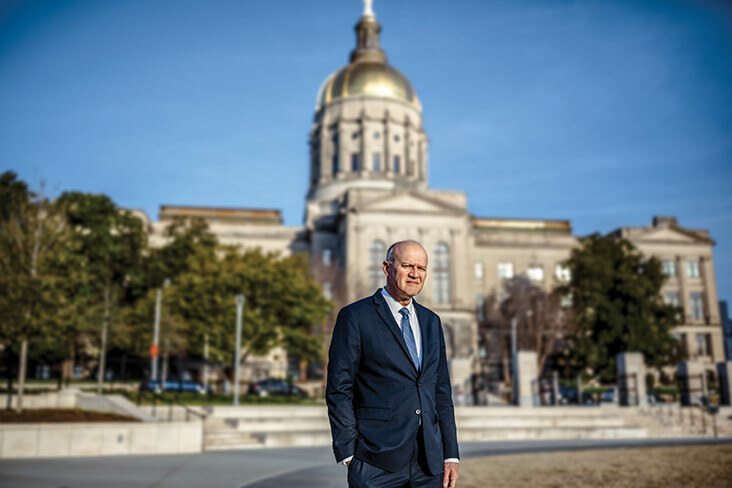 Langford is a frequent presence at Georgia’s state capitol, working to influence policy addressing the opioid epidemic. “We’re going to be running fast, as we usually do,” Langford tells the group, which includes everyone from a Morehouse School of Medicine professor to an entrepreneur offering nonaddictive alternatives for pain relief to Georgia’s public health commissioner. Langford runs the meeting with a light hand, welcoming late arrivals and somehow giving everyone in the room a chance to offer individual updates on their work, even as he interjects encouraging, urgent reminders of its common purpose. “We’re all in the same boat, doing the best we can,” he observes at one point. It’s an important thing to remember in the midst of a public health crisis that can sometimes feel insurmountable, almost inevitable, in its progress. Not long ago, 80 percent of heroin users began by first abusing prescription opioids. Now it’s estimated that 40 to 60 percent of addicts are skipping prescription drugs and going straight to heroin. At the same time, fentanyl, a synthetic opioid powerful enough to cause death in a quantity equivalent to two grains of salt, has become a major factor contributing to the spike in overdoses. Last year, recognizing the fast-moving and shapeshifting nature of these and other alarming developments, Langford approached Georgia Governor Nathan Deal to make the case for creating a strategic plan to address the crisis, with the Department of Public Health leading the effort. A two-day meeting to gather information from stakeholders, including state legislators and public health officials, kick-started the effort; the event was oversubscribed by 200 people, despite being scheduled the week before Christmas. A finalized plan was scheduled to be presented to Governor Deal in June; meanwhile, Langford is working to ensure that SARA and the GPP provide the data necessary to make the plan as effective and responsive as possible, given the evolving nature of the crisis. The story of how Langford came to be at the center of the opioid crisis begins with another public health emergency—the methamphetamine epidemic—one that touched him personally. While his work—first as an international marketing executive for Coca-Cola, then as a tech entrepreneur—would take him far away from Calhoun, he returned in 1997 to give his three daughters the opportunity to grow up in the close-knit community he remembered from his childhood. 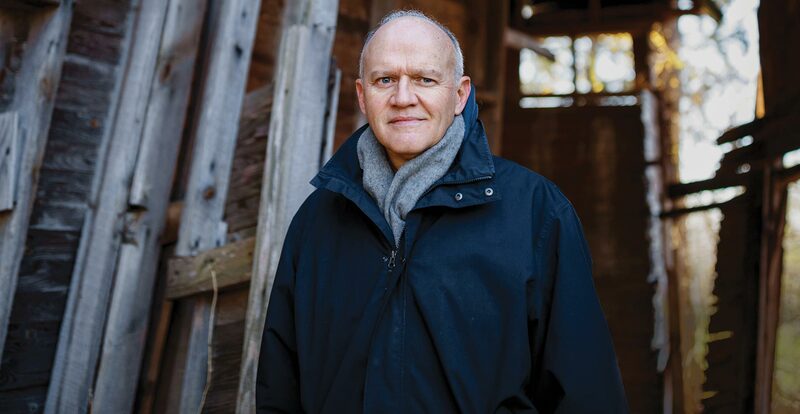 He continued his work across the private and nonprofit sectors, balancing commitments to various tech companies while expanding his Coosawattee Foundation, an educational organization he founded in 1986 dedicated to preserving Georgia’s archaeological sites and environmentally sensitive areas that combines Langford’s passions for history and the natural world. Then the epidemic moved even closer to home. Everybody knows everybody in a small town like Calhoun, Langford says. That’s more or less how he and his family came to foster a young child whose parents couldn’t care for her. The girl’s father, jailed on minor drug charges, was known to Langford—his grandmother had minded him as a child. The girl’s mother, also in jail, had been abusing methamphetamine; once released, she’d come by Langford’s home to visit. “She was still clearly on meth—very jittery, not a good situation,” he says. “You have to be careful, because there’s a psychosis that comes from using the drug that can be very dangerous.” Soon the girl’s mother was jailed again, this time for armed robbery. After five years, the child was taken back by a member of her biological family. “Ten minutes into the conversation Jim said, ‘Lee, I get it. I know exactly what the problem is, and if this is something you’re passionate about yourself, you can count me in. But I can only give you one year.’ That was 10 years ago,” recalls Lee Shaw. The controversial media campaign—which included TV, print, billboard, and radio ads—saturated Montana from 2005 onward, with the effort spreading to six other states. However difficult it can be to show causality between Siebel’s efforts—dubbed the Meth Project—and a decline in drug use, surveys showed the number of Montana high school students who said they’d used the drug declining by 45 percent between 2005 and 2007. Now Shaw wanted to import Siebel’s strategy to Georgia—and he knew who should run the show. As was typical, Langford was in the midst of a number of obligations: Having just stepped down as state director for the Trust for Public Land, he was launching MillionMile Greenway, a nonprofit supporting efforts in smaller communities to create the same sort of greenways and trails he’d just established in Atlanta. Meanwhile, the Coosawattee Foundation had grown to become one of the largest archaeological education organizations in the United States. He told Shaw he would talk but wouldn’t be able to take on whatever he was pitching. “Ten minutes into the conversation Jim said, ‘Lee, I get it. I know exactly what the problem is, and if this is something you’re passionate about yourself, you can count me in. But I can only give you one year.’ That was 10 years ago,” Shaw recalls. A little before 1 p.m., less than an hour after concluding the SARA meeting, Langford pulls into the parking lot of Newton High School in Covington. It’s far enough outside Atlanta that you’ll see cows grazing in fields just beyond the school entrance. But it has a big-city student enrollment of 2,300 and six assistant principals. One of them, Carla Hull, walks us to a classroom where nine students are holding a Teen Advisory Council meeting—a GPP program that trains students to educate their peers about the dangers of abusing prescription drugs. (In 2014, the Georgia Meth Project broadened its focus to become the Georgia Prevention Project.) Some of the students wear the group’s uniform—a bright red T-shirt with “Not Prescribed” emblazoned on the front. GPP’s director of programs Kaitlin Burkly and community outreach specialist Conner Nettles guide the gathering. Reaching teenagers isn’t easy. Langford knows this. It’s also easier to un-sell methamphetamine than a drug with a legitimate use that comes with a doctor’s blessing. That’s where this handful of self-selected students, however small, comes in. But first, he has to reach them. He dives in with the fervor of a Baptist preacher, undeterred by the wall of teen silence. “Together, we can educate these kids,” he says. “They don’t want to listen to me, I’m some old guy, and they don’t want to listen to a law enforcement person, or a principal, necessarily. But they will listen to you. They will listen to you. Just you wearing that T-shirt will have an impact. You don’t think that’s true, but they are watching you, and they’re listening. You’re like a walking billboard. I’m serious. And it’s in a positive way.” The students are quiet. Lunch forgotten, Langford is motoring through with the same quiet intensity he showed at the SARA meeting that morning. Pressing on, Langford asks if any of the students remember the Meth Project campaign. There’s a good chance they do, given that it comprised 26,000 radio spots, 23,000 TV spots, and 588 billboards, even if most of the students would have been young children at the time. Heads nod. “I remember,” says one girl. “Especially at night,” adds another. The Teen Advisory Council is an experiment in progress, with six schools participating and plans to expand to a dozen in the coming year. It can be difficult to infiltrate the bureaucracy of public schools, even when the message is a positive and urgently needed one. “Every school is different,” Langford says diplomatically. “We don’t even use the word ‘curriculum.’ We say we have some resources available to them.” Over the past two years, 739 middle and high school teachers have participated in GPP’s online prevention program, which provides the information and resources for them to lead interactive classes on the abuse of opioids and heroin. The students watch a “Not Prescribed” video provided by a Colorado nonprofit that includes first-person testimony from former teen addicts, as well as family members of those who have died. “I wish I knew, really, what these prescription pills were,” a survivor tells the camera in a close-up. That’s part of what the students here will be doing today, as they methodically go over a lesson that gives a real sense of what they could encounter in the safety of their own homes. Looking into a virtual medicine cabinet, they pass over the Tums, Benadryl, and Band-Aids to click on drugs such as Amoxicillin, Adderall, Xanax, and Percocet to discover their effects when used improperly. The students’ observations and questions make it clear they get it—that they care and that they’re looking for answers too. “So is it like, our age subgroup that has, like, the majority of overdose problems?” one girl asks tentatively. No, says Langford—but many start using as teens. They go to rehab and then relapse, developing a lifestyle and sense of immortality that is ultimately deadly. “I’m really sad that some of these [drugs] are in the songs we listen to,” one girl muses. They’re opening up, thinking about what they’re learning with the sort of fresh perspective that comes with youth and honesty. “I feel like we have [school] clubs about drugs, but we don’t have clubs about mental health,” adds another. Langford’s pitch is this: The cost of the opioid crisis to the state of Georgia is undetermined but vast, with a conservative estimate in the range of $10 to $15 billion. 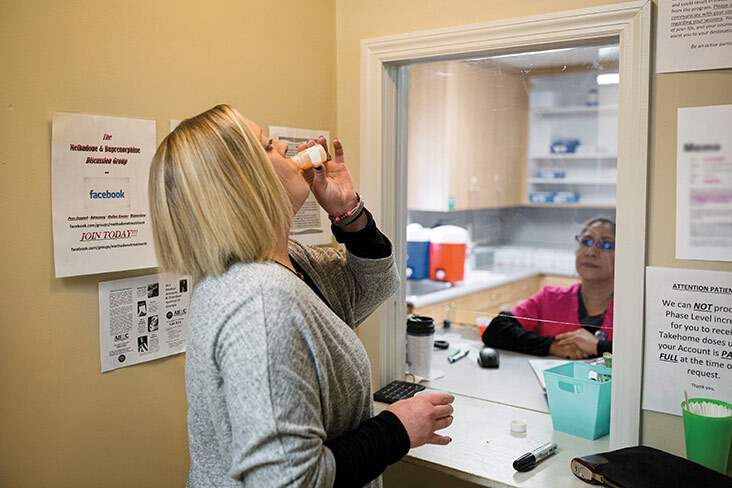 With an $8.7 million investment dedicated to a second-generation campaign, this time focused on prescription drugs and heroin, it won’t take much to see significant ROI. Langford is driving again. The Camry has 96,000 miles on the odometer; despite his success in building and leading tech companies, Langford will admit that he did not time his investment exits so well. He won’t be retiring anytime soon, not that he has any interest in doing so. The Camry, in any case, is taking him to his next location—a very late lunch back in Atlanta’s Cabbagetown neighborhood. At the moment, he’s describing how to build a campfire, and the way that relates to getting others to share his sense of urgency and need around the opioid crisis. In a world filled to bursting with urgency and need, that skill is an art and a science that relates directly to successful fundraising. Right now, Langford’s pitch is this: The cost of the opioid crisis to the state of Georgia is undetermined but vast, with a conservative estimate in the range of $10 to $15 billion. With an $8.7 million investment dedicated to a secondgeneration campaign, this time focused on prescription drugs and heroin, it won’t take much to see significant ROI. In Langford’s words, “It’s a compelling ask.” Tom Siebel paid $600,000 to $700,000 for each of his 30-second TV ads, but those were Hollywood prices; Langford figures he can create five or six spots in Georgia at a significantly lower cost, while still accounting for the input required from sociologists, psychologists, and former addicts themselves to make the ads honest and effective. “These ads need to be reality-based,” he says. “We can’t lose our credibility edge with kids.” For a track record, Langford can point to results from the Georgia Meth Project, where a survey of 1,801 teens showed that those who saw little or no risk in trying meth dropped from 35 percent in 2010 (the year the campaign launched) to 11.6 percent in 2014; meanwhile, the percentage of teens who saw “great risk” in trying meth rose from 41 to 68. Results also varied significantly in counties where the ads did not run, with teens in those areas 63 percent more likely to perceive only a slight risk in using meth regularly. Back in Atlanta, Langford sees tangible evidence of what happens when he moves, and moves fast. At Georgia’s Trust for Public Land (TPL), he led $45 million in land acquisition efforts from 2004 to 2007 for the Atlanta BeltLine—a series of multiuse paths and parks running in a rough loop around the city’s center. To succeed, Langford took an aggressive stand, acquiring land parcels at a rapid pace while staying one step ahead of private-sector developers. The strategy required special clearance from the TPL’s national board—which he received—and resulted in a temporary hangover post–financial crisis. But the project jump-started development just in time to meet the demand of millennials looking for a way to live, walk, and work in the city. Abandoned factories have been repurposed as lofts and retail space; elsewhere, new construction is rising at the BeltLine’s edge. And in Cabbagetown, a neighborhood of old mill-worker housing, trendy cafés serving lamb sliders and lox plates are thriving. Those traits had a precedent in Langford’s parents, who provided a blueprint for what tenacity and vision look like and what it can achieve. His mother worked to desegregate local swimming pools and successfully campaigned to build a public swimming complex while raising Langford and his two siblings. His father, educated as a lawyer, had a storied career in the Georgia state legislature in the 1970s and ’80s; a stretch of US Highway 41 that runs near Calhoun is named in his honor. Langford’s father also advised Jimmy Carter during his 1966 bid for governor; over the course of various campaigns, the Carters frequently spent the night at the Langfords’ home. The trade-off of public office is something Langford has witnessed firsthand—power comes with elected office at any level of government, but there’s also the baggage of reelection and accountability to multiple constituents, some of them the “time vampires” that he names as one of his greatest fears. Taking the nonprofit route to public service has meant he can move more quickly while still influencing policy. The downside, he admits, is that any plan—no matter how carefully crafted and presented—can be chopped down in a moment by policymakers with less knowledge of the issue. In March, Langford was invited to the White House Opioid Summit, where President Trump advocated for the “ultimate” penalty for drug dealers, a stance that runs counter to the GPP’s emphasis on education, prevention, and treatment. With Congress allocating $6 billion in funding to the federal budget over the next two years, it’s clear that the US government is also making the crisis a priority. At an appearance in New Hampshire a few weeks later, the President once again called for instituting the death penalty for drug dealers. But he also announced a nationwide education campaign, part of which would be “unsavory commercials” to “scare” kids away from using drugs. It’s a potential action that Langford—who was on a conference call with the White House the night before the President’s appearance—no doubt hopes to parlay into more funding for Georgia’s, and the GPP’s, part in fighting the epidemic. But he also knows that whatever pans out is going to take time. “It’s going to be a long road,” says Langford, who as usual is simply focused on the task at hand and what comes next. He met some good people at the White House summit, from states like West Virginia, Ohio, and Tennessee, all hard-hit by the crisis. They’ll be working together and talking about new approaches to prevention and treatment. He is also optimistic about some very big fundraising asks with some very big foundations. Tireless, Langford is moving the ball down the field, no matter how far off the goal may seem.